Just over a year ago I participated in the 'Spice Up the Holidays' campaign with my friends at Captain Morgan's Spiced Rum. This year, I've partnered up with them once again for 'The Captain's Table Challenge,' a food-filled program where I'll be highlighting the holidays with food and drink! 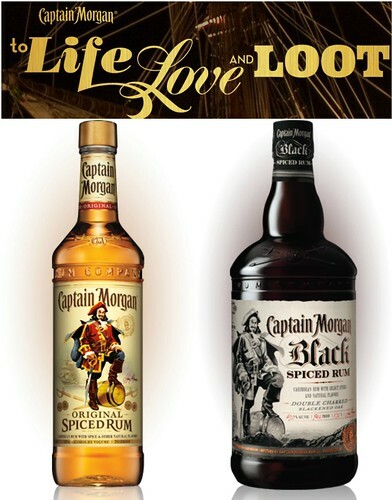 Specifically, I'll be sharing a food and drink recipe incorporating Captain Morgan's Rum for recipes perfect for Thanksgiving, Holidays and even the Superbowl. To get in on the action, Chef Hugh Acheson will be reviewing all the recipes submitted during the three occasions and a winner will be chosen among the participating bloggers to award a trip to a Captain's Table US Event in the spring of 2014 where they will be joined by Chef Hugh Acheson himself! Preheat oven to 350 degrees. Line a large baking pan with parchment paper or foil and place a cooling rack in the pan. Wash chicken and dry thoroughly with paper towels. Toss with the olive oil, garlic, ranch seasoning and rum. Arrange on the rack and bake in the preheated for 30 minutes. Turn and bake for 20 minutes longer. Increase heat to 425 degrees and bake for about 5-10 minutes longer, until nicely browned. Combine the melted butter and hot sauce in a large bowl. Transfer the hot drumsticks into the bowl with the sauce mixture, tossing to coat. 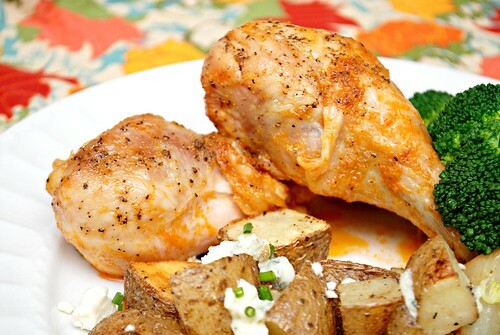 Arrange the chicken on a serving platter and serve with Ranch dressing or blue cheese dressing. With a hot meal served, why not have something to cool things down? 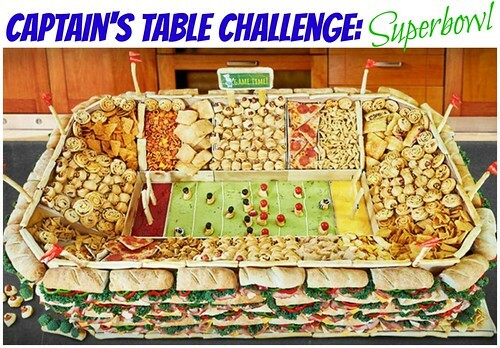 To offset the heat of our Superbowl meal, I decided to serve up some light, cool and refreshing. My son loves blueberries so I always have them at home, whether they're fresh or frozen. 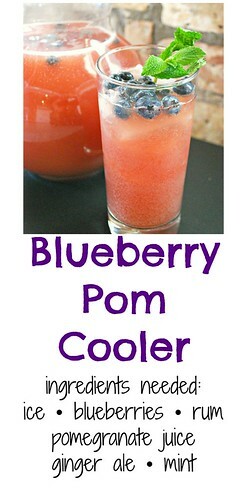 I scored a great deal on fresh blueberries at the grocery store and with them, I concocted this Blueberry Pom Cooler. Fill tall glasses with ice and set aside. 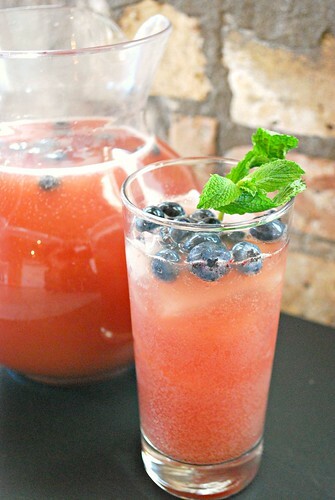 In a large pitcher, combine the blueberry juice, rum, pomegranate juice and ginger ale. Stir to combine and serve over ice. Garnish with blueberries and fresh mint.